When choosing the best smartphone to accompany your international travels, you have several factors to consider. For instance, the mobile phone must be unlocked if you intend on using a local service provider at your destination. The good news is that there's a great phone to suit nearly any budget. Sometimes listed as the Moto G Plus in the United States and sold as the Moto G5 Plus internationally, this affordable Android smartphone offers tremendous value for money. In fact, the Moto G5 Plus and its smaller Moto G5 sibling were called "the best budget phones" by Engadget. The 13-megapixel camera is "surprisingly good" and the solid battery life should get you through a day of tourist activities. 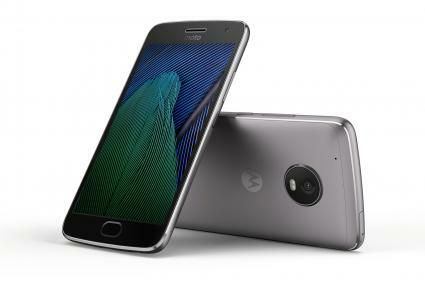 Winner of an Editors' Choice Award from PC Mag, the Moto G5 Plus is well-built and offers a premium style, even if it does not have a metal body. The fingerprint reader can serve as the home button when you tap it, the back button when you swipe to the left, and the recent apps button when you swipe to the right. The specs are not flagship caliber, but this phone is perfectly adequate and is priced accordingly. The unlocked Moto G Plus (Moto G5 Plus) with 32 GB of internal storage sells for just over $200 online. Look for the dual SIM version (MOT-XT1681) for a few dollars more if you'd like to use more than one phone number at the same time too. 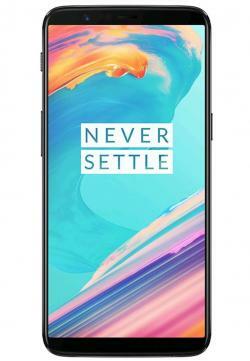 Called "the best Android phone you can buy at any price" by Business Insider, the OnePlus 5T offers specs and features that you'd normally expect in phones twice the price. It's got a terrific 6-inch AMOLED display with a tall 18:9 aspect ratio, though the 1080p resolution is lower than the 1440p resolution you may find on more expensive smartphones. Performance is stellar with the top of the line Qualcomm Snapdragon 835 processor and either 6 GB or 8 GB of RAM. Other highlights include a fingerprint reader and among the fastest facial recognition technology for user authentication. This is terrific when traveling because it means you can quickly unlock your phone to check directions or look up information. While the OnePlus 5T lacks wireless charging, the Dash Charge technology means you can go from empty to a 60 percent charge in 30 minutes, perfect for a quick top up at the hotel room or coffee shop before continuing with your day. The OnePlus 5T is available directly from the company's website with pricing starting at around $500 for the base model with 64 GB of storage and 6 GB of RAM. The upgraded model with 128 GB of storage and 8 GB of RAM is about $60 more. If nothing short of the best will do, the Google Pixel 2 XL is hard to beat. Google's flagship entry is designed to showcase the very best that Android has to offer. Giving the Google Pixel 2 XL a perfect five-star rating, The Guardian exclaimed this is "the best big-screened Android experience yet." It features top-notch specs and a premium "hybrid coating" for added durability and grip. For travelers who love to take pictures but don't want to lug around a heavy DSLR everywhere they go, the Google Pixel 2 XL was named "the best smartphone for stills photographers" by DPReview. 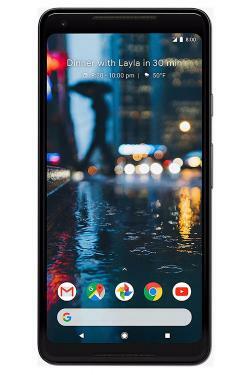 While it may not have the dual rear camera configuration of many other high-end smartphones, the Pixel 2 XL makes the most of its single 12.2-megapixel rear camera by leveraging the impressive machine learning of Google's image processing software. The unlocked Google Pixel 2 XL can be purchased directly from the official Google Store in your choice of Just Black or Black & White. The 64 GB model is just under $850 and the 128 GB version is $100 more. A smartphone is used for so much more than simply making phone calls. It's used for taking pictures, checking social media, looking up directions, confirming flights, and finding the best restaurants in town. All these responsibilities are further amplified when traveling, so it is very worthwhile to take some time and choose your next phone wisely.